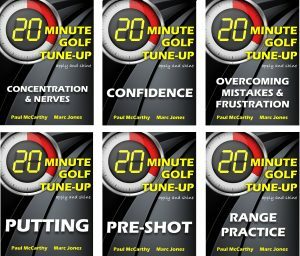 The 20-Minute Golf Book Series are just $2.99 / £2.59 on Amazon Kindle. 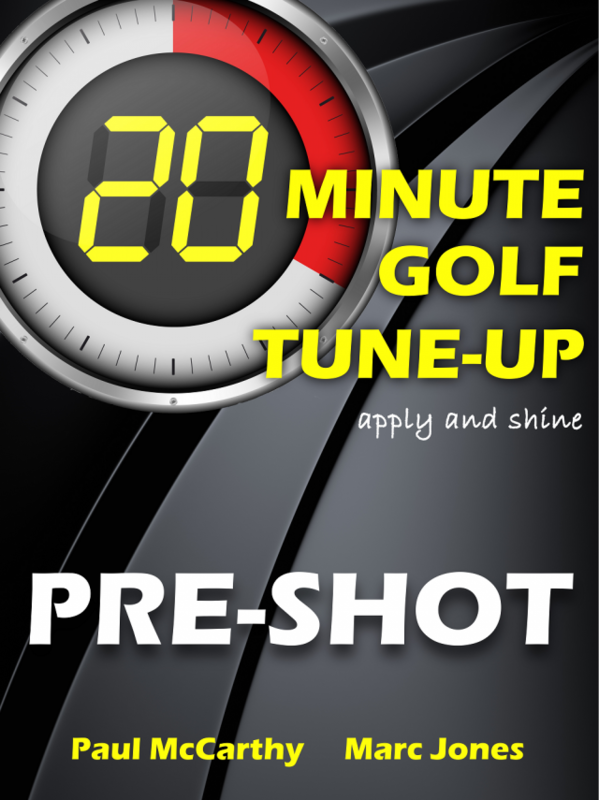 The pre-shot routine is a physical and mental sequence of actions to help golfers remain focused on the task at hand to play shots consistently well. Though the best golfers in the world might differ in the style of their swing, you will notice a similar sequence of actions for every shot. For instance, they will have a certain number of practice swings before setting up to the ball followed by a specific number of glances toward the target. Why are routines important? Routines are important for at least three reasons. First, they allow the golfer to remain consistent in the fundamentals of the set-up. The golfer can ensure that her grip, alignment, stance and posture are consistent each time she prepares for a shot. The best golfers in the world are always working on these fundamentals. Second, rather than thinking about irrelevant aspects of the game, such as the score or your opponent’s shot to the green, you can pay attention to what you need to do to play your shot well. Finally, routines that are well practised help us to move from conscious attention to unconscious attention – to execute the shot at hand. 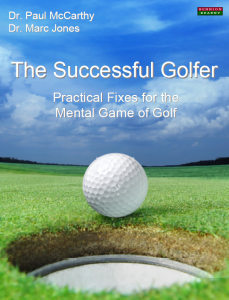 In other words, once we have engaged in a physical and mental sequence that is well learned, we can allow the shot to unfold without consciously attending to the mechanics of the swing. We let the swing do its thing.